There’s a distinct chill in the air, that can only mean one thing…the holidays are here! This is my favorite time of year, because as someone who loves to cook, I love having lots of reasons to have friends and family over. What I love about the holidays is that it also brings lots of distinct, special flavors that we tend to only enjoy during a specific time of year. 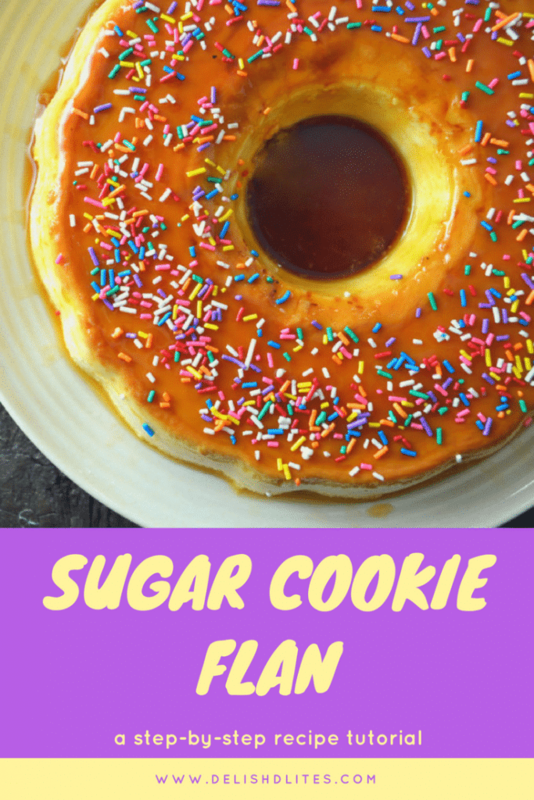 That’s what inspired me to come up with this deliciously different sugar cookie flan! 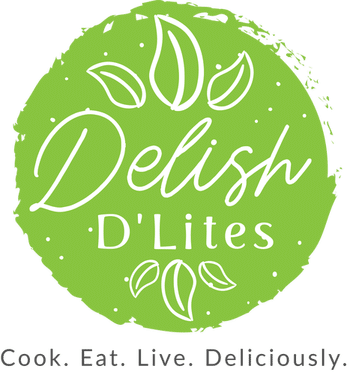 With the hectic nature of the holidays, I definitely need to keep my energy up, and coffee creamers are the ultimate way to make your morning cup of coffee perfect. 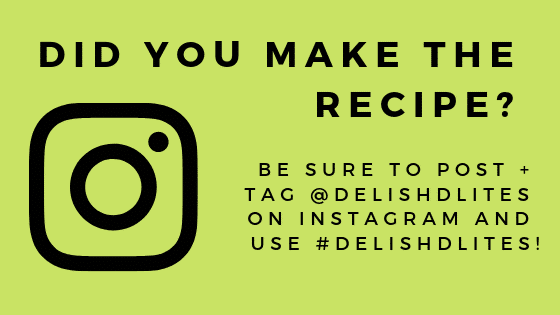 They’re also a great resource for whipping up flavorful and fun desserts, like my sugar cookie flan! 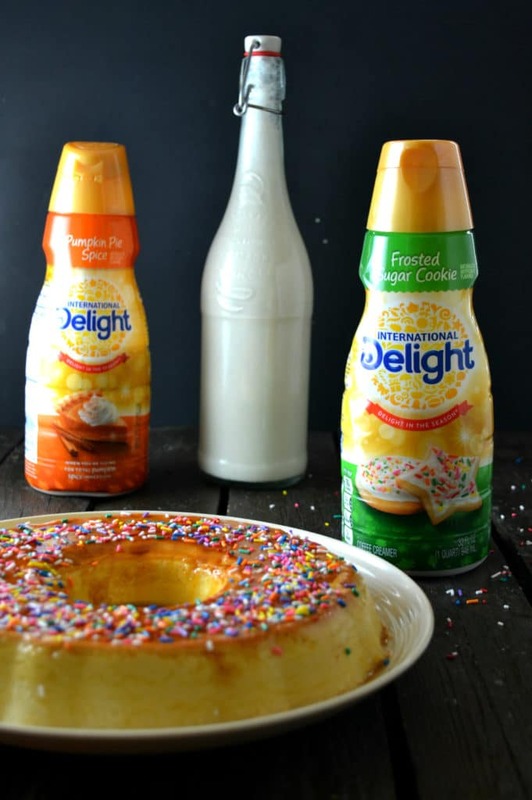 I used the International Delight® Sugar Cookie Coffee Creamer to add a rich and creamy flavor to my flan, inspired by cookies & frosting. 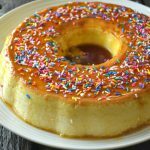 My super festive sugar cookie flan dessert is a gorgeous twist on traditional flan recipes, and the sprinkle topping adds a festive touch. In a sauce pot, add the sugar and water. Cook on medium heat until the sugar thickens and becomes a golden caramel color. 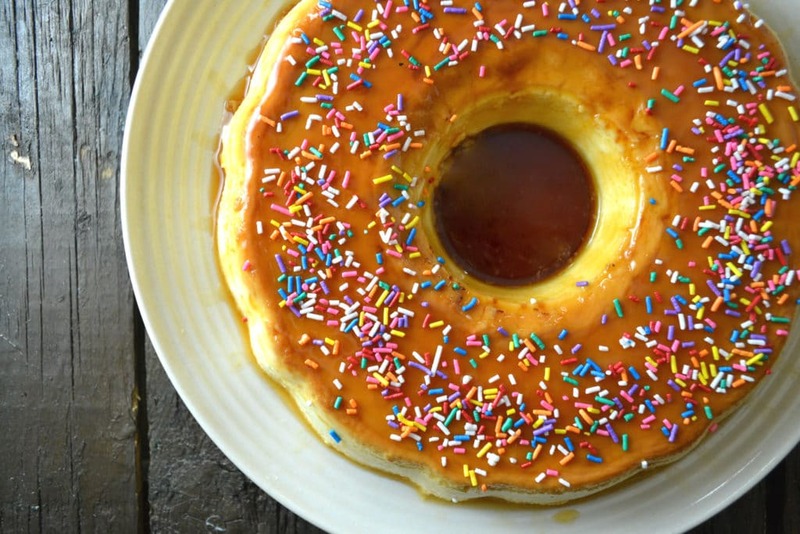 Pour the hot caramel into your flan mold and tilt it gently to coat the bottom with the caramel. In a blender, combine the cream cheese, eggs, creamer, condensed milk, evaporated milk, vanilla and salt. 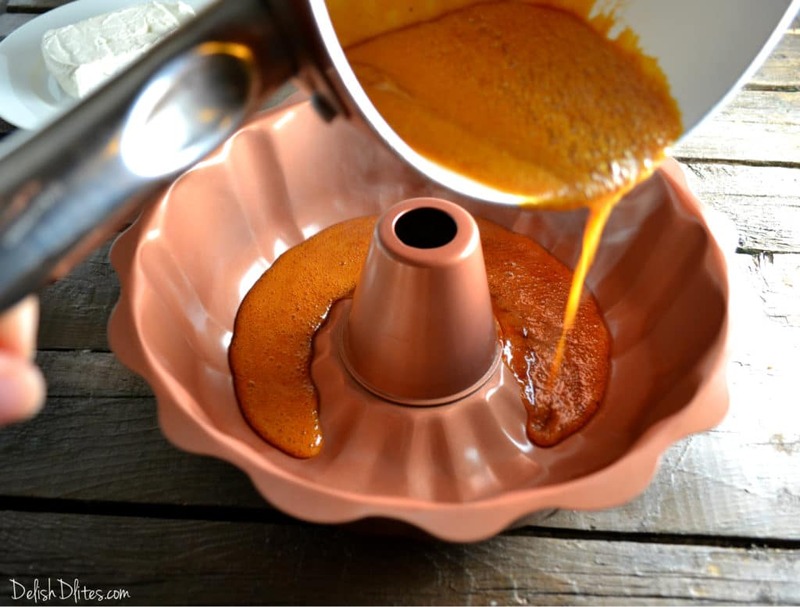 Blend the mixture until it’s smooth, then pour it into the flan mold, on top of the cooled caramel. You’ll probably hear it crack as the cool liquid hits it, that’s perfectly fine. 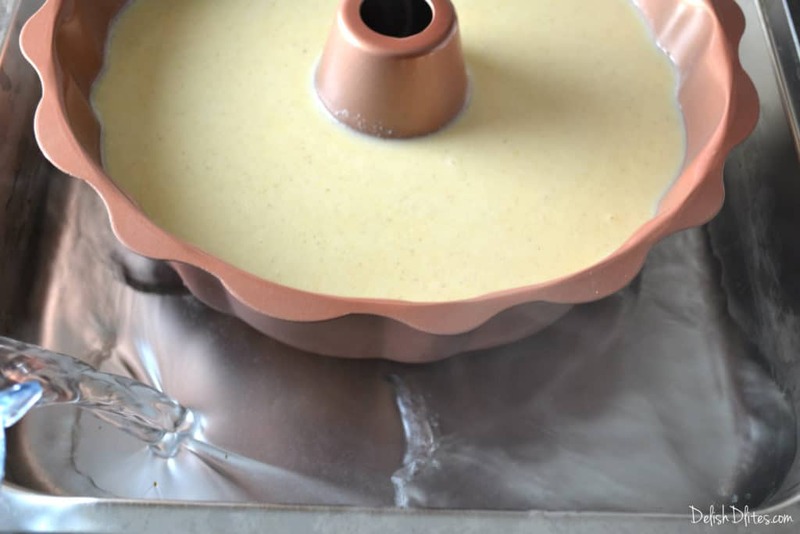 Cover the flan mold with aluminum foil and place into a large roasting pan. 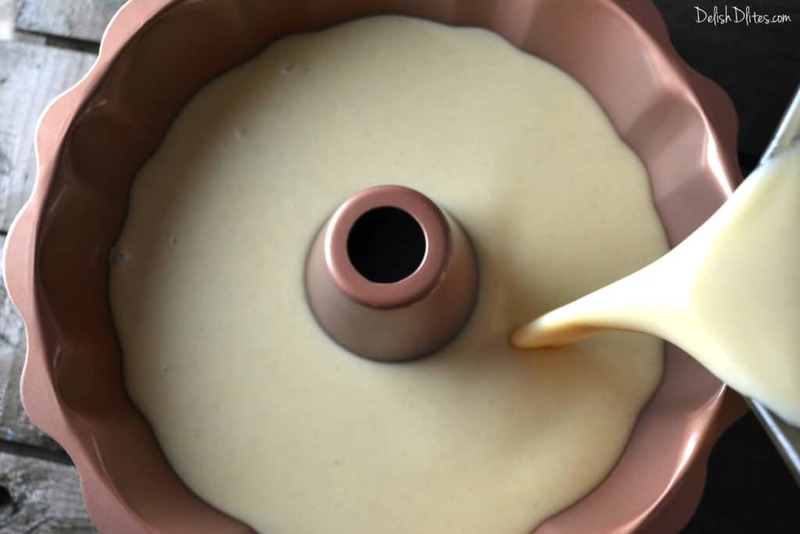 Add hot water into the pan, until it’s about halfway up the flan mold. Cook the flan at 350 degrees F for 90 minutes. Cool the flan in the refrigerator overnight, covered. When you’re ready to serve, run a thin knife around the edge of the mold, then place a large plate over the pan, and invert it. You should hear the glorious squishing sound of the flan coming loose from the pan, and plopping onto the plate. Marvel at your work! 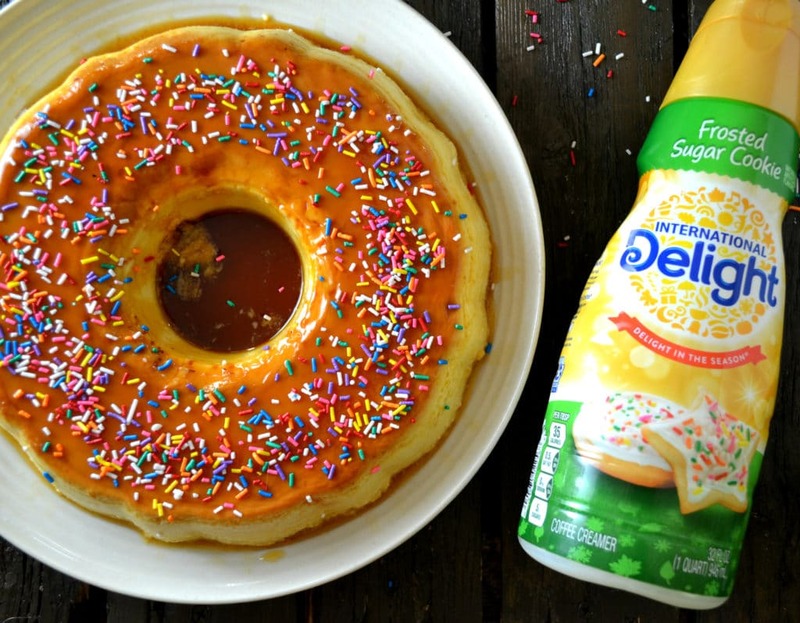 Top with festive sprinkles, then slice and serve with a hot cup of coffee and your favorite International Delight® Coffee Creamer. In a sauce pot, add the sugar and water. Cook on medium heat until the sugar thickens and becomes a golden caramel color. 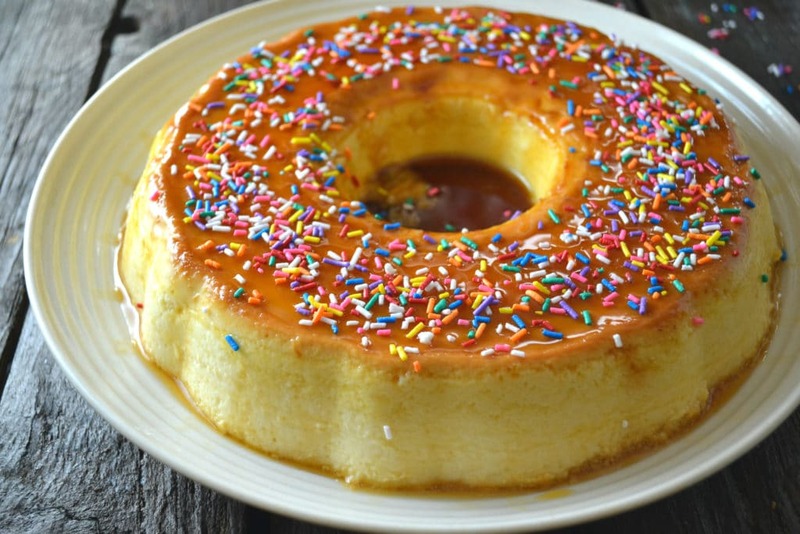 Pour the hot caramel into your flan mold and tilt it gently to coat the bottom with the caramel. 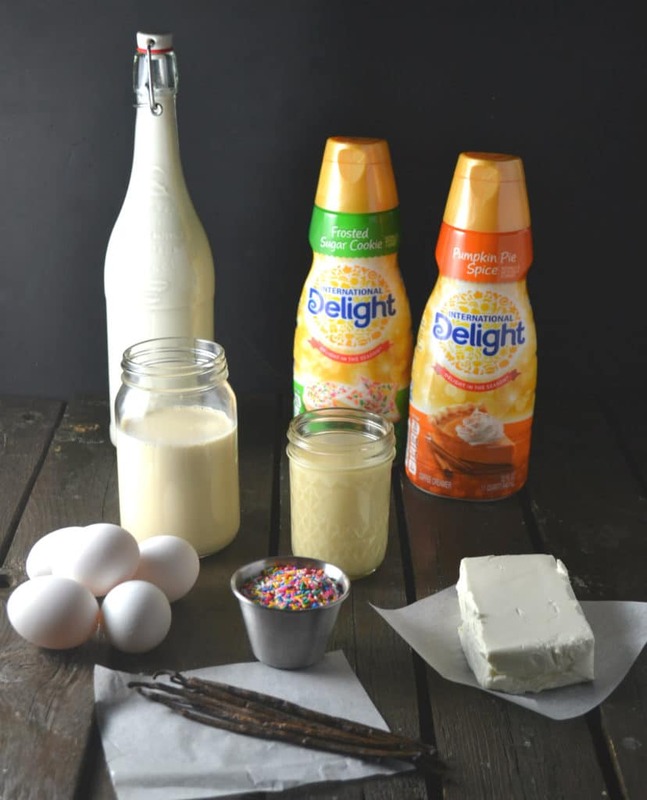 In a blender, combine the cream cheese, eggs, creamer, condensed milk, evaporated milk, vanilla and salt. Blend the mixture until it's smooth, then pour it into the flan mold, on top of the cooled caramel. You'll probably hear it crack as the cool liquid hits it, that's perfectly fine. Cover the flan mold with aluminum foil and place into a large roasting pan. Add hot water into the pan, until it's about halfway up the flan mold. Cook the flan at 350 degrees F for 90 minutes. Cool the flan in the refrigerator overnight, covered. When you’re ready to serve, run a thin knife around the edge of the mold, then place a large plate over the pan, and invert it. You should hear the glorious squishing sound of the flan coming loose from the pan, and plopping onto the plate. If it's stuck, tap on the inverted mold until you hear the flan pop out.